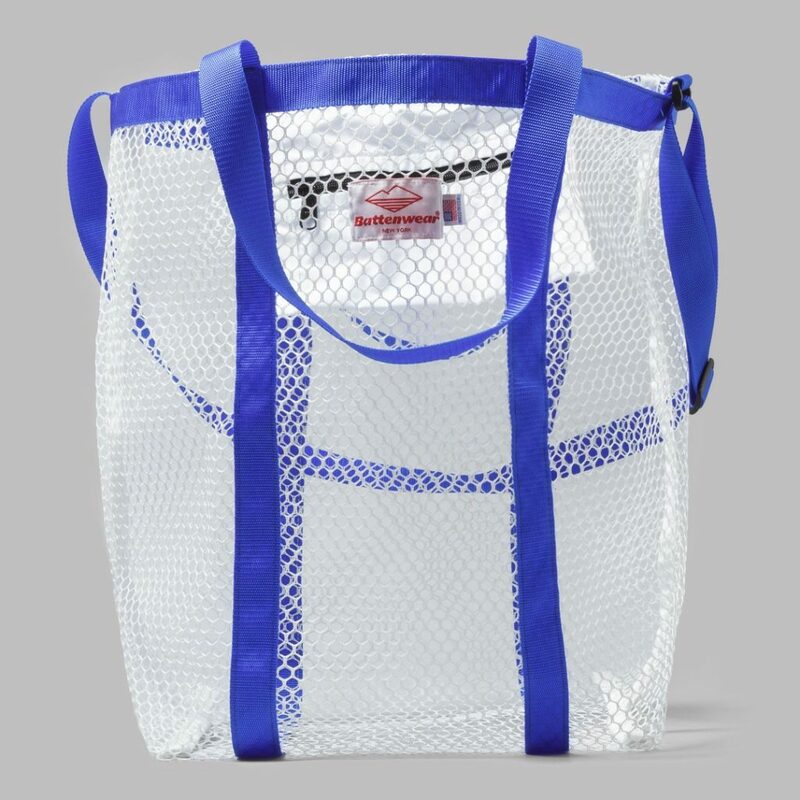 Whilst having a bag with loads of holes in it might not sound like the ideal scenario, when it comes to having something super lightweight to put all your beach gear in then it’s exactly what you need. Because the holes I’m talking about here are not random sized ones that will gradually ensure all of your belongings end up landing on the pavement, no these holes are little one that form a beautifully brutalist looking mesh state of affairs. 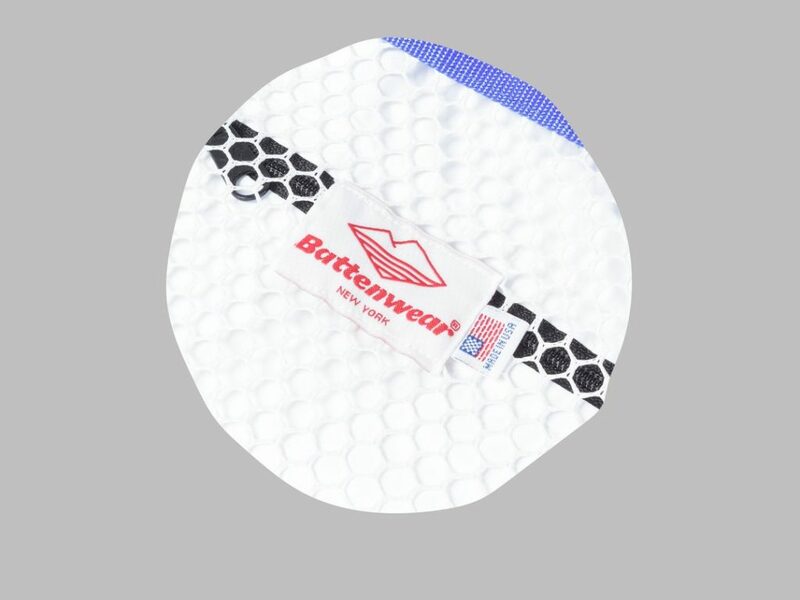 As we all know, Battenwear tote bags are now a quintessential part of summer time and no trip to the beach/pub/shop should be attempted without one. It’s also pretty useful if you go camping and forget your colander. 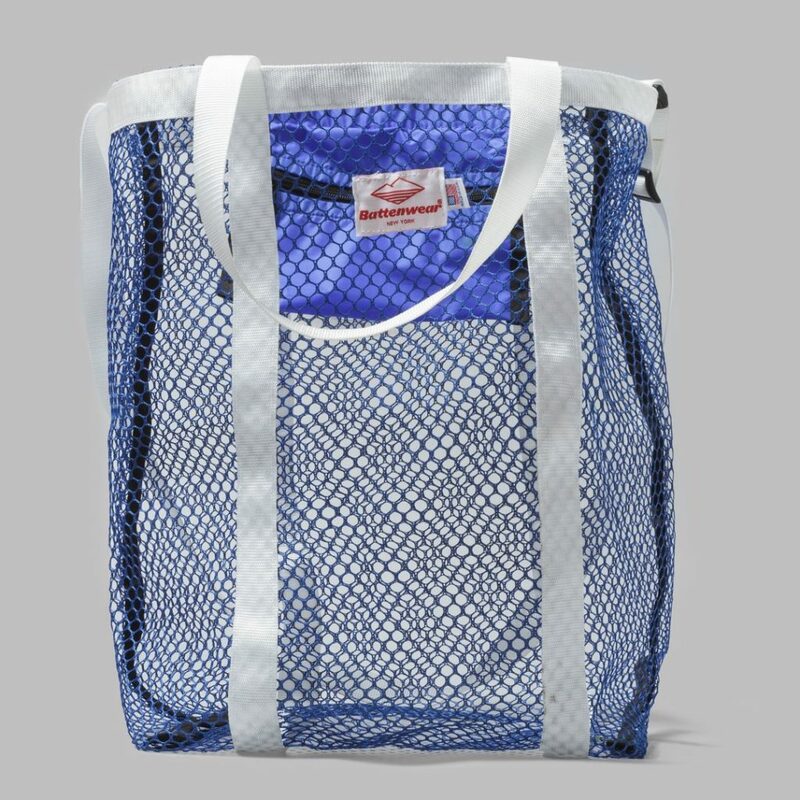 Get a Battenwear Mesh Tote bag from Oi Polloi here.